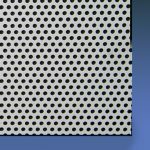 QuieTech perforated aluminum is a thin, lightweight acoustic absorption panel for use in marine, industrial, and architectural applications. The white, powder-coated finish is attractive, making QuieTech an excellent choice for areas where visual aesthetics are important. 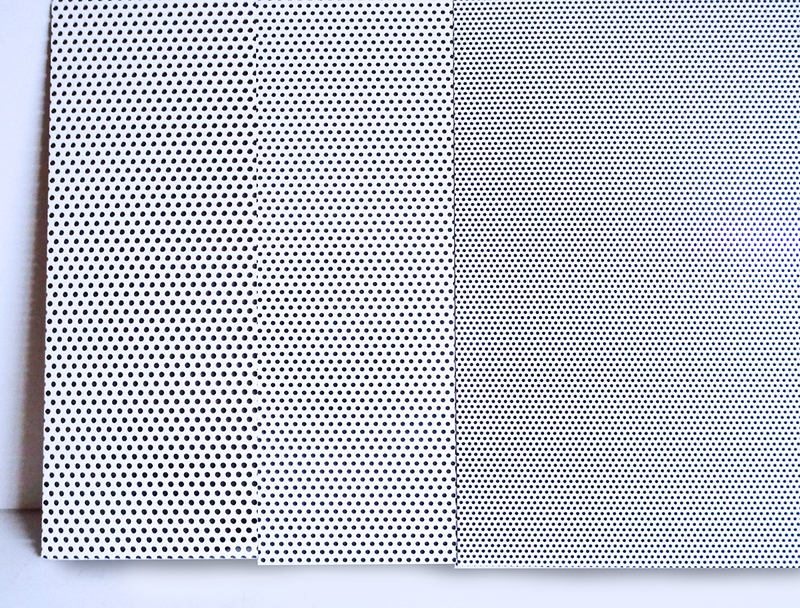 Soundown QuieTech consists of a perforated aluminum sheet with a non-woven backing. Its acoustic absorption properties are a result of increased flow resistance across the non-woven backing. The acoustic absorption properties improve as a function of the increased cavity between the QuieTech and the surface on which it is installed. This cavity can be left as an air gap, or for improved performance, filled with an acoustic fiberglass or other appropriate material. QuieTech can be used in almost any space that requires improved acoustic properties and a clean, durable finish. It is widely used in yachts as an engine room finish, where noise control is critical, and the clean white matches the high-end aesthetic. In large public spaces, such as offices, train stations, airports, and restaurants, QuieTech helps improve sound quality by absorbing noise in the range that interferes with speech intelligibility and hampers communication. Soundown QuieTech is easy to handle, cut, and form without the need for specialty tools. QuieTech consists mainly of aluminum and glass fiber and is, therefore, inherently fire resistant.